Buying a car can greatly reduce your bank balance, which is why many people choose to apply for a car loan to pay for their vehicle. We have listed a few advantages of getting car finance instead of using your savings for a cash transaction. A car loan could enable you to buy a much better vehicle than you could have afforded when just paying by cash, you may be able to pay no deposit on your car finance too. 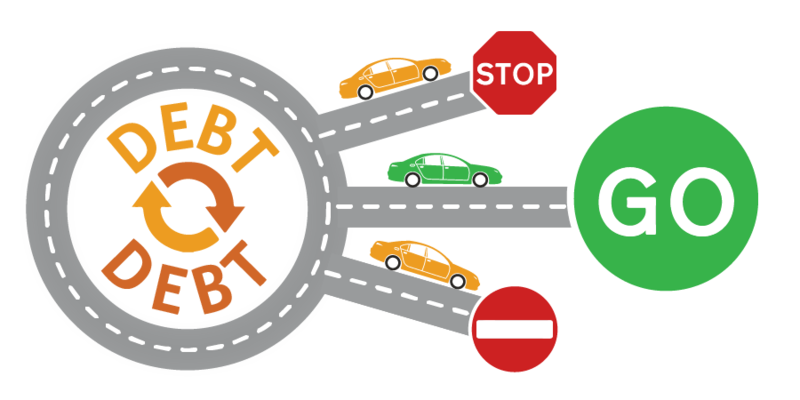 You can spread the cost of your car loan over a longer period of time and with fixed monthly payments you always know where you stand with your car finance and how long you have to pay back the loan until the car is yours. A loan that is secured on the vehicle you wish to purchase has a lower risk option than taking out a loan which is secured to your home as it may put your home at risk if you default on repaying the loan. A key benefit of getting car credit is that the APR will be fixed for the length of the loan term. This eliminates any worries of the repayments increasing if interest rates go up as you will be unaffected. If you are thinking about purchasing a new vehicle, then choosing car finance could be your best choice. Making the choice to purchase a car using car finance can be a difficult task. Does the car finance jargon put you off buying a new car on finance? 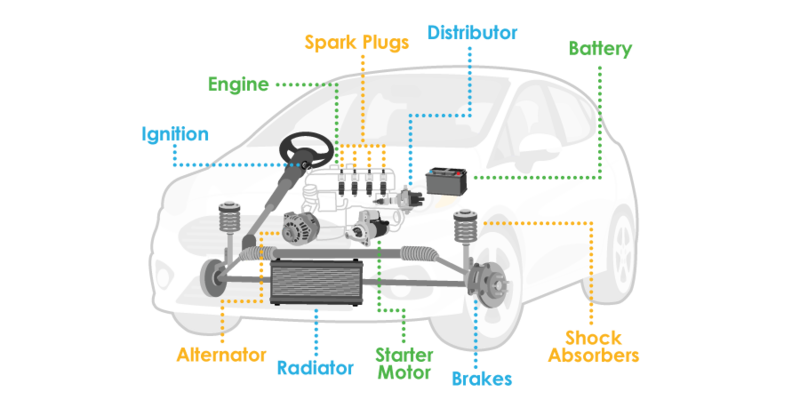 We have put together a list of commonly used terms that you will come across when looking to purchase a new car on finance. Car Loan – This works in a similar way to a personal loan but is specifically a short-term loan to buy a car. The repayments can be fixed or subject to interest rate increases over a set number of years. The loan is secured against the vehicle. Fixed Interest Rate Loans – This type of car loan cannot be changed by the customer or lender over the agreed term. So even if the Bank of England change the base rate your loan rate will not increase with it. CCJ – County Court Judgements are usually issued if you have defaulted on any previous debt payments. If you have a CCJ it will usually impact your ability to obtain credit and your credit score. Credit Score – This is a score based on previous bill and credit repayments. It is used to predict how likely you are to pay back any future loans or credit commitments and make those payments on time. Credit Report – This is a history of your credit information and is stored with a credit reference agency. It also contains how you have managed your credit commitments in the past and electoral information on your address, as well as any credit checks that have been made. Credit Reference Agencies – If you take out a loan or credit commitment then you agree to the lender to perform a credit rating check. They will check your credit history through a credit reference agency such as Equifax or Experian. You can also view your own credit history by visiting one of the agency’s websites. Debt Consolidation – This is a loan made up of combined debts that are spread across a number of credit commitments such as loans, store or credit cards to create one fixed regular payment. Individual Voluntary Arrangement (England) – An individual voluntary arrangement (IVA) is a formal arrangement to pay an agreed amount off your debts over a shorter period. Any debt left at the end of the IVA is written off. 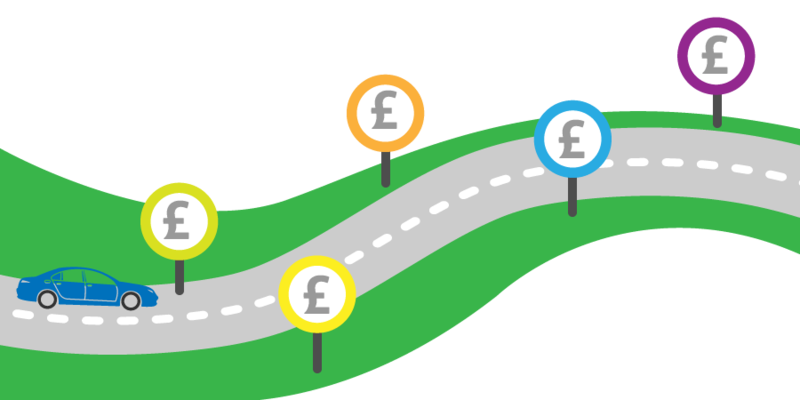 IVAs can be set up in a number of different ways, either as a monthly instalment plan over a fixed term (normally five years), or a short term arrangement if you have a lump sum to offer. Some IVAs are a mixture of both. An IVA can be a useful alternative to bankruptcy if you are worried about possible risks to your job or home. Joint and Several Liability – This is a debt that is owed by joint borrowers such as a partner where you are both liable for repaying the full balance. If the other party declared themselves bankrupt or even disappeared then you could be liable to repay the full amount. Representative APR – An Annual Percentage Rate is used on lending such as mortgages, loans and credit cards. An APR’s purpose is to demonstrate the total cost of borrowing over an average year and interest cost, charges and any upfront fees. This also makes it easier to compare car finance deals in the market. Settlement Figure – This is when you choose to repay part or all of your car loan earlier than your term length. If you choose this option then your monthly payments will be reduced but the term length will remain the same. If you settle the whole amount of the car loan early you may have to pay interest on either the amount repaid or the amount of interest depending on the length of your loan. Term – The agreed period of time (usually in months) over which you have to make repayments until your car loan is repaid. Credit Limit –This is the highest amount of credit that a car finance company will lend to you at the time. It is in your best interest to stay within the set credit limit so as not to incur increased interest rates or charges that may affect your future requests for credit. Direct Debit – An arrangement where the bank releases money from your account to pay bills automatically. The organisation you are paying can change the amount of a direct debit, but you are told in advance how much it will be. If you set up a direct debit to pay household bills you usually receive a discount, and it means that you don’t have to worry about sending off a cheque each month. Standing Order – an instruction to a bank by an account holder to make regular fixed payments to a particular person or organization. Interest Rate – The percentage that is paid in interest on savings or loans. A savings account that was offering 8% interest would give you a better return (more money) than one that was offering 5%. Similarly borrowing money at 22% would cost more than borrowing at 18%. Net Pay – The pay you actually get after tax, national insurance and other deductions have been taken off. Also known as “take home pay”.